ARTIFEX is an ERASMUS+ project designed to establish a practical European framework for STEM education in innovative out-of-the-classroom learning environments such as Fablabs or Makerspaces. STEM stands for Science, Technology, Engineering and Mathematics, thus incorporating science, technology and mathematics. 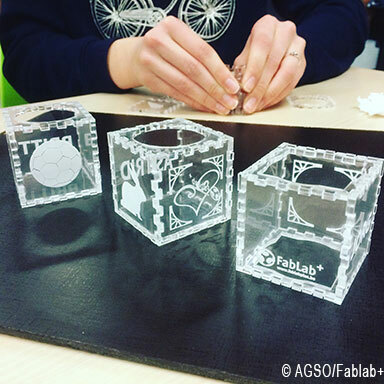 A Fablab or Makerspace is a small-scale workplace where you can manufacture products using modern technologies such as 3D printers and laser cutters. 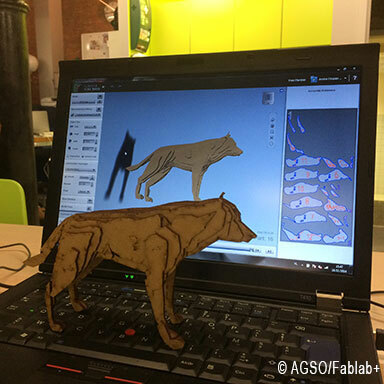 The presentation of the design and laser cut of a dog by students of a secondary school. 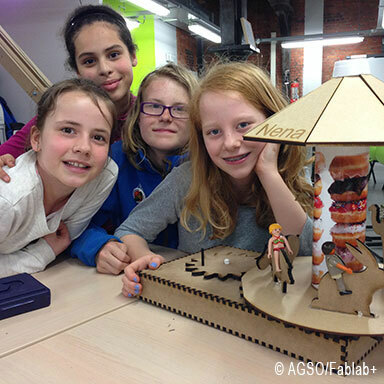 Students present proudly a miniature model of an electric carousel that was designed in the school and fabricated in a FabLab. Provide transparent and easily accessible information on contemporary competences required from engaged STEM workers in the current and future European labor market and society. Provide and disseminate new contents, tools and pedagogical approaches (access to new learning resources) in the context of FabLabs and encourage the transfer of these approaches to other similar open community spaces (Maker Spaces, Hackerspaces, Techshops …. ), specifically open access online professional development tool. Provide and disseminate a self-assessment tool structured around key areas of teachers’ and educators’ teaching for STEM competencies. Identify and promote examples of European good practices (transferability) which are embedded in national curricula. The ARTIFEX Project is co-funded by the Erasmus+ programme of the European Union. This project has been funded with support from the European Commission. This publication reflects the views only of the author, and the Commission cannot be held responsible for any use which may be made of the information contained therein.